Martial arts store Toh Chwee Huat Ivory Company operates within Singapore’s Bras Basah Complex, at 231 Bain Street. Established by Toh Chwee Huat during the 1960s, Toh Chwee Huat Ivory Company sells various kinds of martial arts equipment and supplies. 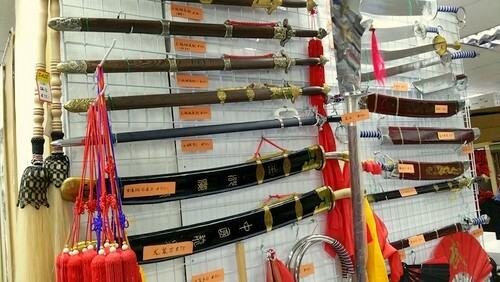 Visiting the shop, you can purchase everything from martial arts shoes to high quality leather shoes to martial arts equipment, including variety of knives, spears, swords, sticks and many types of weapons. The official Toh Chwee Huat Ivory Company Facebook page is located at www.facebook.com/tohchweehuat/. Following the Facebook page, you’ll receive updates about the company’s promotional offers, their events, plus much more.